Theo Knoll runs to explore and to think. Every morning, before most of his fellow travelers have stirred from bed and the heat of the Costa Rican day begins to build, Theo dons running shoes and sets out to explore his surroundings. He has seen things that no one else in the group has seen: A rickety wooden footbridge spanning a river. A herd of cows blocking the road, through which he wades carefully. The rising sun burning early morning mist from the treetops, while mountains on the horizon cast shadows that keep half the landscape in darkness. As he runs, lost in motion, he mulls his experiences here in Costa Rica, a country radically different from his native Idaho. Theo, short for Theodore, is 17. He is one of a small group of high school students exploring Costa Rica this summer with The Experiment in International Living, a World Learning program that has introduced young people to foreign cultures since 1932. 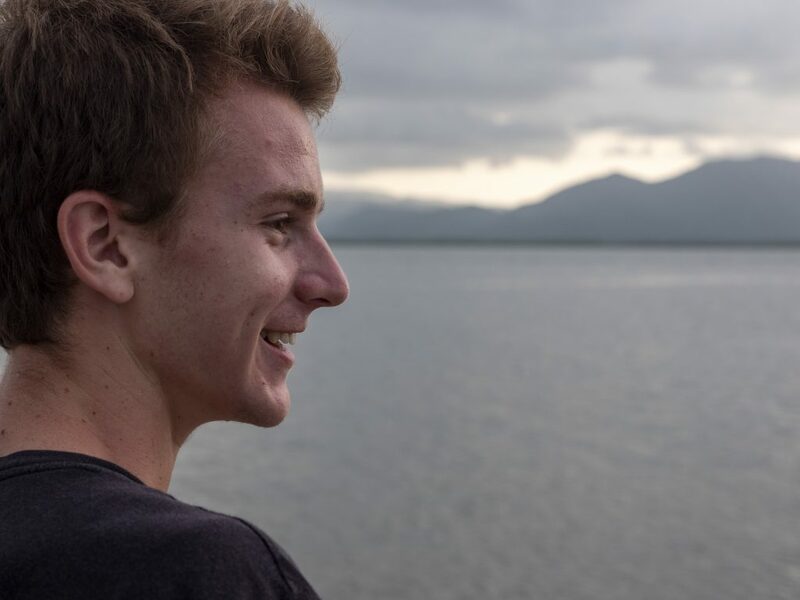 Over the course of four weeks, Theo and his companions live with host families, work on service projects, learn about sustainability, and sample the enormous diversity of this small, Central American country. The trip is no luxury tour. The Experiment introduces travelers to everyday Costa Ricans (or “Ticos,” as they call themselves) and asks Experimenters to live as the locals do. Sometimes that means days without WiFi or hot showers, as well as closer proximity to nature—including Costa Rica’s rich assortment of wild animals—than many Americans are accustomed to. Yet, none of this fazes Theo, who spends much of his time at home outdoors. A Boy Scout and an athlete, he skis in the winter and tubes down the Boise River in the summer. And of course, he runs long distances throughout the year. Part of the reason he chose Costa Rica was for the time he would spend outside, close to nature. Another factor was his desire to experience something wholly different from his home, yet still accessible enough to penetrate and learn from the culture. With four years of Spanish under his belt, Theo reasoned that he would be able to converse with Costa Ricans in their own language, which would be vital during the program’s two-week homestay with a Costa Rican family. Theo’s intuition turned out to be right—his Spanish, though still far from perfect, helped him to bond with his host family. 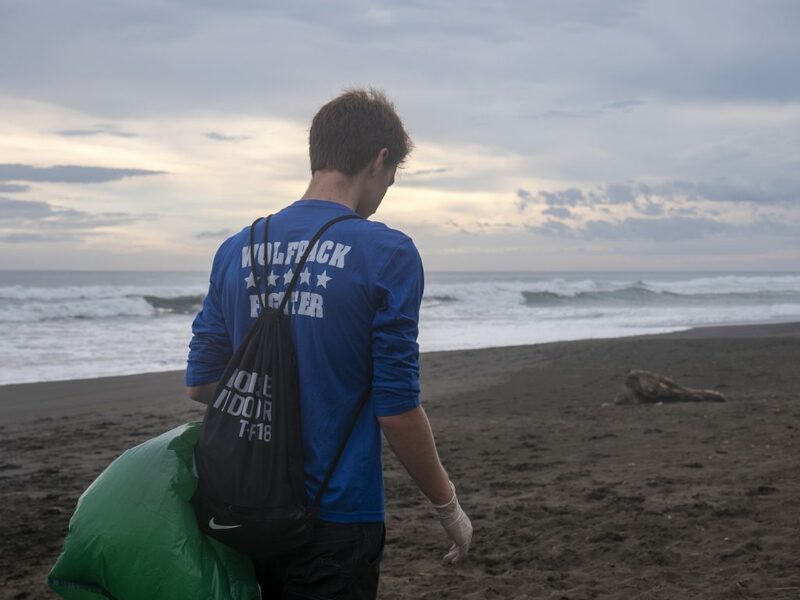 During the group’s two weeks in the small, southern Costa Rican community of La Palma, each traveler moved into a different family home, only reconvening to work on a service project and for group excursions. For many, the homestay was their first time in a foreign country without the constant support of other Americans, and Theo rose to the challenge. Theo dubbed his first few days with the family the era of “no entiendos”—”I don’t understand.” But soon he was chatting with his homestay mom, finding that he could understand her Spanish even when he lacked a ready reply. He went fishing with his 15-year-old homestay brother, one of four siblings, and they laughed together about their terrible catch. The family’s oldest daughter, a 20-year-old enrolled in a local college, spoke enough English to smooth over the occasional communication hiccup. Going on The Experiment has become something of a tradition within Theo’s family. His aunt traveled to India with The Experiment during the 1980s and returned having made friendships with her fellow travelers that endure to this day. Some three decades later, she is still in touch with her Indian host family. Next, Theo’s cousin traveled to Argentina. Then his sister went to Brazil. When it was his turn, Theo turned his eyes toward a program that would satisfy his interest in sustainability and biodiversity. The group’s time at the El Campanario biological research station, deep in the Costa Rican rainforest, brought home how wasteful US habits can be. El Campanario recycles much of its water, which made Theo reconsider the long showers he takes at home. The station’s efforts to reduce its trash output prompted him to think about how Americans forget their waste as soon as they pitch it away, rarely considering that “away” is a real place. He noticed that his homestay family unplugged lights and fans whenever they left the house to save the small amounts of electricity that appliances use, even turned off. Theo’s time in Costa Rica has led him to think more expansively about what kind of life he wants for himself—to realize that, throughout the world, there are so many more options than the traditional US model of high school to college, college to job, and job to family. “Traveling does increase your perspectives, and it also makes you notice things that before you didn’t see,” Theo said.